It’s really hard to pick a single film alter ego, I love so many characters. Coffy (Coffy), Mallory (Natural Born Killers), Frida (Frida Kahlo), Elizabeth Bishop (Fly Me to the Moon), Clarice Lispector (Silence of the Lambs), Ofelia (Pan’s Labyrinth), Alice Wakefield (Lost Highway), Mia Wallace (Pulp Fiction), or Sugar Kane Kowalczyk (Some Like it Hot) –perhaps an amalgamation of all of them might work best. For the sake of committing to one alter ego for now I will pick Agent Dale Cooper in Twin Peaks. Special Agent Dale Cooper has a coffee addiction and he fetishes apple pie. He often runs in opposition to the FBI with unorthodox methods that get him uncanny results. He’s always taking notes and trying to figure out the mystery, which pretty much sums up most writers’ lives. He’s full of geekery and highly uncool (to the point where he is kind of cool) and he’s grappling with strange forces in this world and the next (again correlates with a writing life). Also, he walks around to an Angelo Badalamenti soundtrack, quotes like a sage and hangs upside down so he can think better. 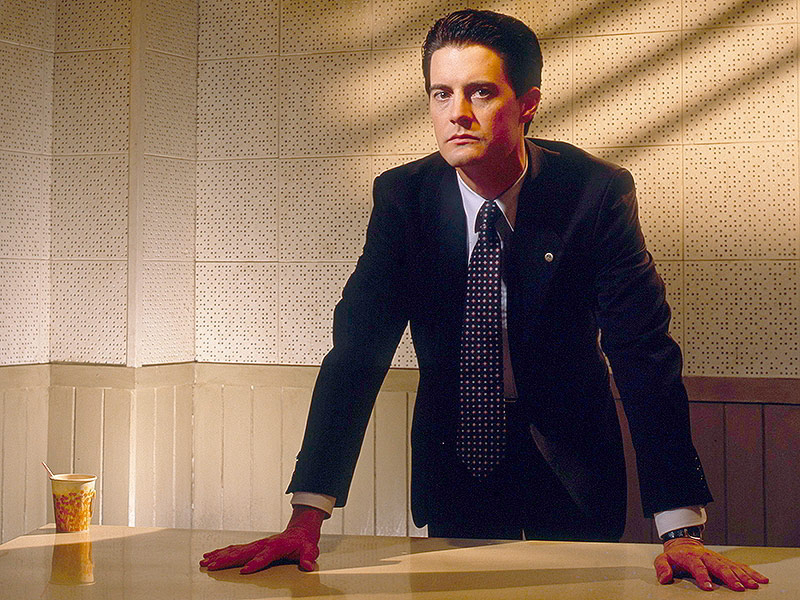 He’s extremely introspective and while other film detectives use logic to fix a case, much of Agent Dale Cooper’s approach is based on intuition and dreams. Three years before Twin Peaks he sees a Tibetan truth in a dream and is so struck by it that his work methodology is based on that dream alone. He meets his evil doppelgänger in the Black Lodge and he is willing to give his soul to save someone else, so he’s brave as well. Agent Dale Cooper ends the film in the mysterious Red Room with his hand resting on Laura Palmer’s shoulder. You could read it that, to be present with her on the other side like that, he must have never made it out of the Black Lodge. He is a mystery in his own right and he has a fierce sense of what is right even although he’s flawed and has seen too much tragedy in life. Saying all that, I’m not sure I could wear a suit and be so clean cut, even if I were a special Agent. Actually now I think about it perhaps I’d just be Gertrude Stein in Paris Was a Woman – imagine having all those artists and great paintings around every day, utterly divine!